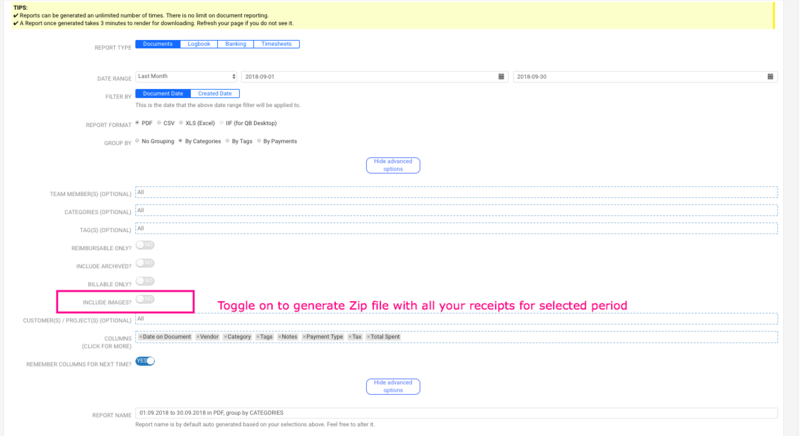 Generate a Report. It contains a zip of all your receipts. Click on "Generate a Report" tab to open it. 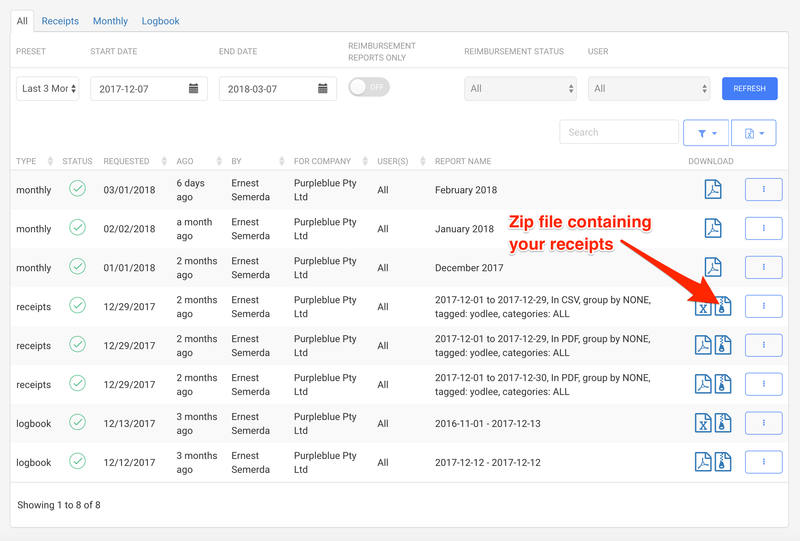 Select report type and make sure the date range is correct to capture ALL your receipts. Enter in all the fields you want the report to factor in. 5. In Advanced Options toggle on "Inlude Images". 6. When done, press the blue button "GENERATE REPORT".